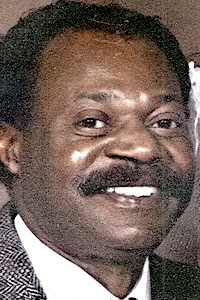 Daniel D. Blakely Jr. 1939-2012 October 28, 2012 GIRARD - Daniel D. Blakely Jr., 73, died Thursday, Oct. 25, 2012, in his home. He was born Jan. 15, 1939, in Warren, the son of the late Daniel D. and Cecile Morse Blakely Sr. He retired from the Trumbull County Engineer''s Office and served in the U.S. Navy. Survivors include his wife, Sandra L. Felger Blakely; stepchildren, Anthony and Thomas Slagle of Girard and Tammy Caldwell of Niles; a sister, Darlene Blakely Brown of Indiana; and six grandchildren. He was preceded in death by a brother. Memorial services are noon Tuesday at Greenhaven Cemetery Chapel. Arrangements are by the Blackstone Funeral Home. Please share your memories of Daniel.